Here’s a TV we wouldn’t mind plugging in for the Super Bowl. 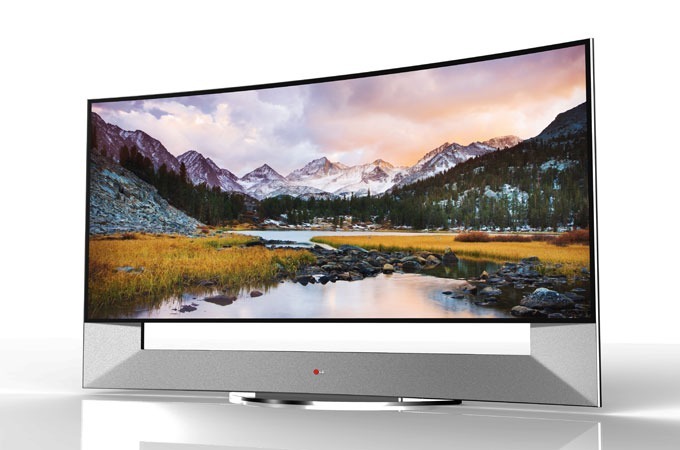 LG will unveil the largest curved glass TV ever at CES 2014. This 105-inch ultra HD TV (model 105UB9) features a resolution of 5120 x 2160--or 11 million pixels--compared to the standard 1920 x 1080 resolution offered by LG's and Samsung's curved OLED TVs. Not only is the 105UB9's screen bursting with pixels, it’s 21:9 aspect ratio is way wider than typical HDTVs or even Ultra HD (4K) TVs, which are all 16:9. LG's screen dimensions are very close to the ultrawide Cinemascope and Panavision formats from the glory days of film. LG calls the format "CinemaScope," although the dimensions are off by a hair.